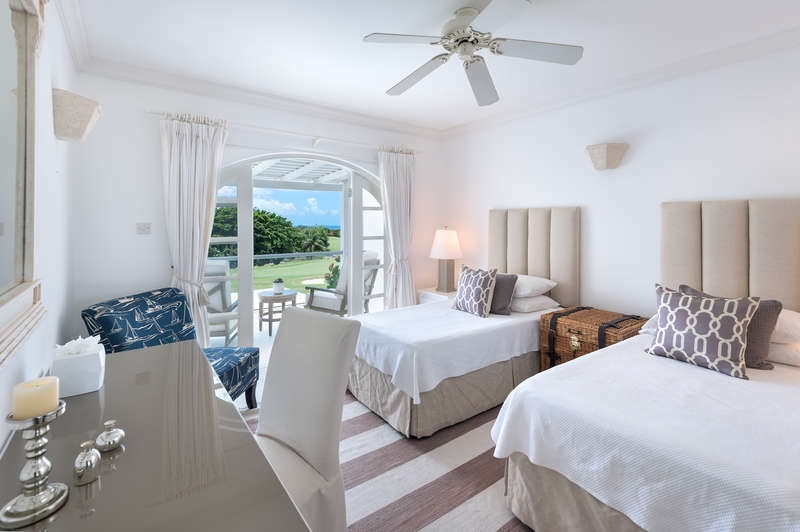 Located in the quiet Cassia Heights neighbourhood, Cinquelle is a beautiful three bedroom villa in the exclusive golf resort community of Royal Westmoreland on the west coast of Barbados. Newly refurbished in 2017 this charming villa features two bedrooms in the main house and an adjacent self-contained cottage which is connected through a private courtyard. 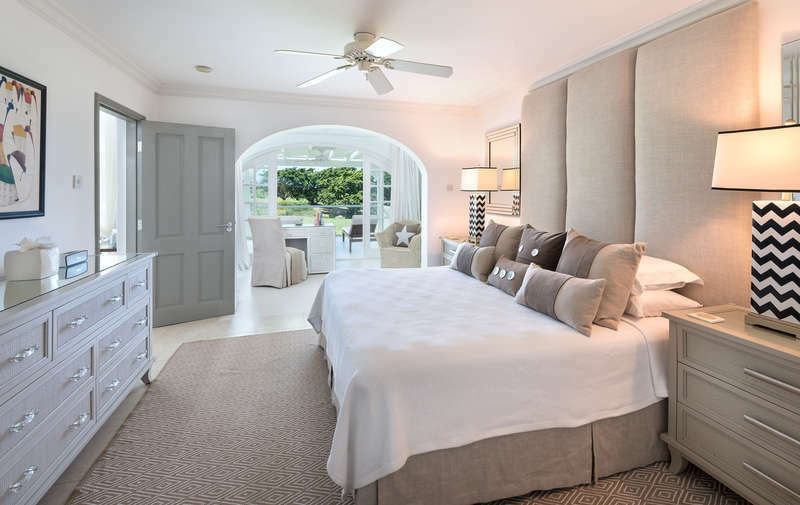 The property sits on the corner lot of the Cassia Heights development, providing extra privacy and spectacular views of the golf course and Caribbean Sea. Royal Westmoreland offers a wide range of impeccable community features including a Robert Trent Jones golf course, tennis courts, clubhouse and round the clock security. Featuring vaulted ceilings, Cinquelle's open plan living and dining rooms create a cool and welcoming atmosphere. The large covered patio is a perfect location to relax and enjoy the tropical breezes of Barbados while sipping a refreshing cocktail. 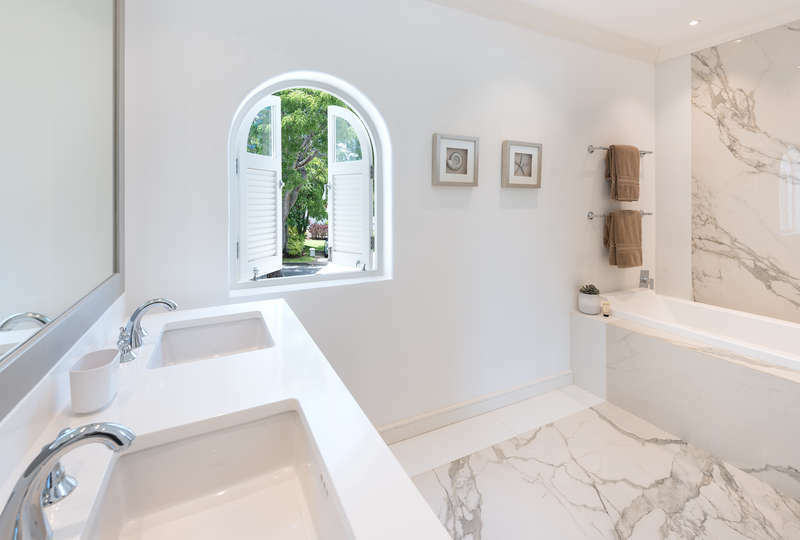 All three bedrooms are air-conditioned and feature their own private bathrooms. The master bedroom leads onto the patio and has a small office nook and private TV. 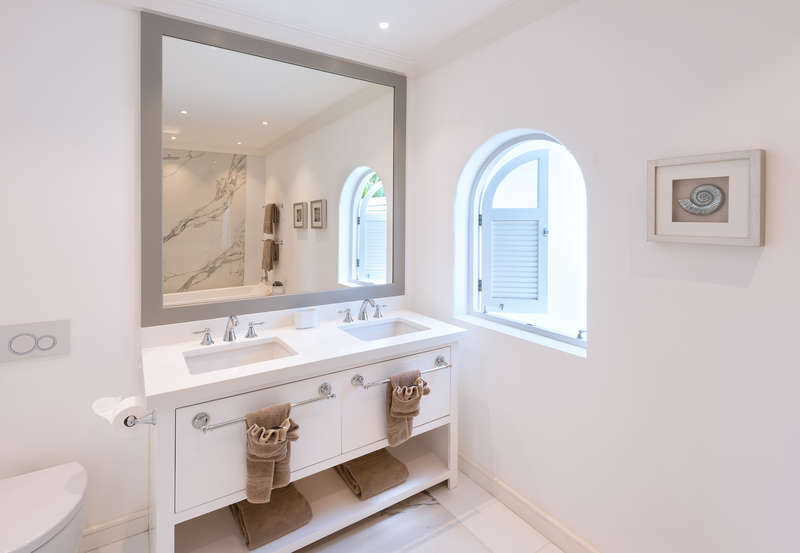 In keeping with many high end features throughout the house, the kitchen is outfitted with a range of new top of the line appliances and equipment. The housekeeper is in house five days a week to make sure everything is kept to the highest standards during your vacation. Guests staying at Cassia 21 also have the added benefit of using the Royal Pavilion Beach Club. 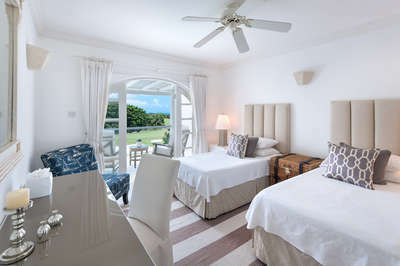 Located just a few minutes from Royal Westmoreland, this private beach facility offers complimentary beach loungers and umbrellas as well as an excellent bar and restaurant on site. Experience your ultimate Barbados vacation today at Cinquelle! • Security safe for valuables. 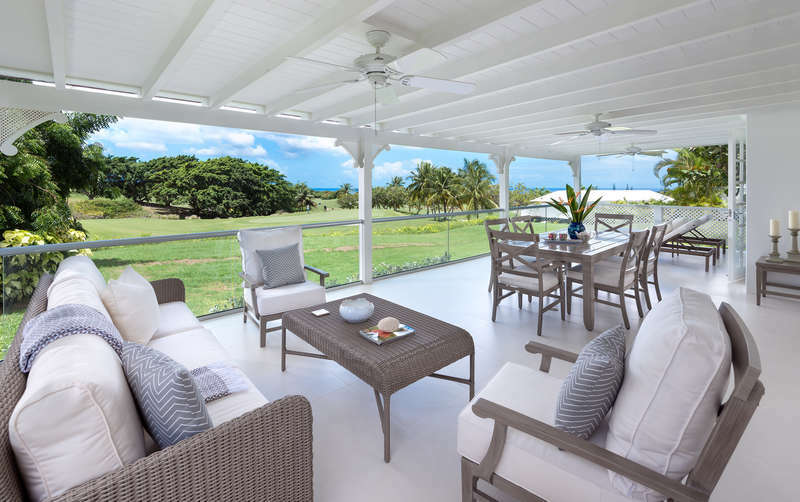 Cassia Heights features a full Royal Westmoreland social membership, allowing guests access to the club house and Sanctuary. Use of the large communal swimming pool, gym, children's pool, tennis courts and Mullins Beach access. Special golf rates are not included and if guests wish to play golf it would be at the full rate of BDS 400 and tee times are 100 AM to 11 AM only daily. 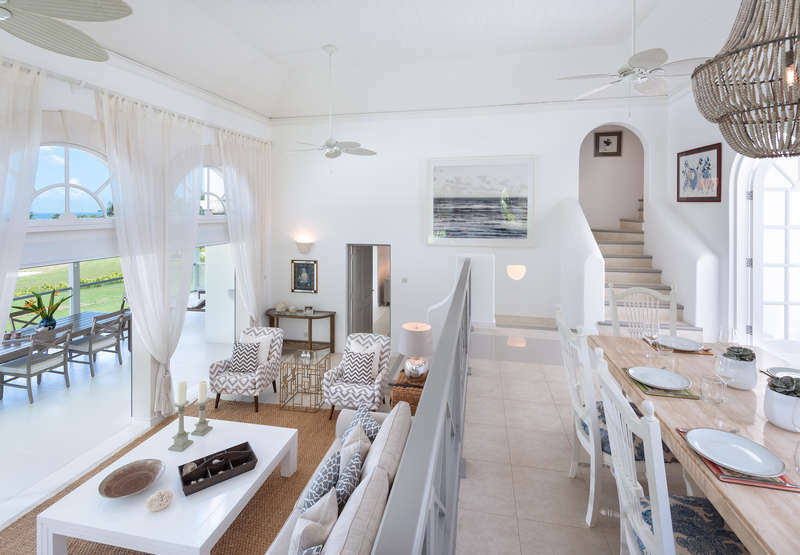 All vacation rentals in Royal Westmoreland will incur a fee of $20 per villa per day for use of the common services. • 2.5% per room per night levy on all rentals (capped at $10 per room per night). • Please note that all bookings from 1 January 2020 on wards will carry a 10% government levy.